The MB Mini series of pedals from Markbass is made to the same high quality level as our standard effect line, but uses an ultra-compact, lightweight chassis. Smaller than other stompboxes, these incredible-sounding pedals will fit onto even the most crowded pedal boards, and the 9-12V power requirement means you can use them with any standard power supply. 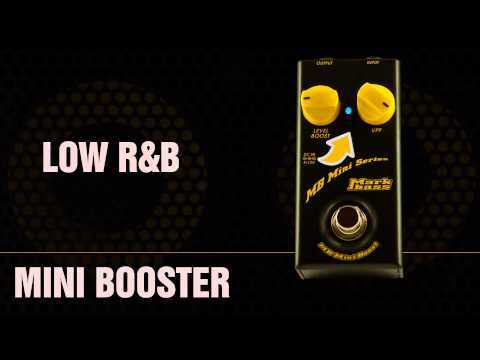 Give your pedalboard a “boost” with the MB Mini Boost—which also features our Variable Preshape Filter (boosts lows and highs, and cuts mids). The MB Mini Boost and MB Mini Dist effect pedals had been reviewed on the December issue of the TopGuitar magazine and received their “Top Gear” editors' award for that month.